You should have a recent version of Java installed. 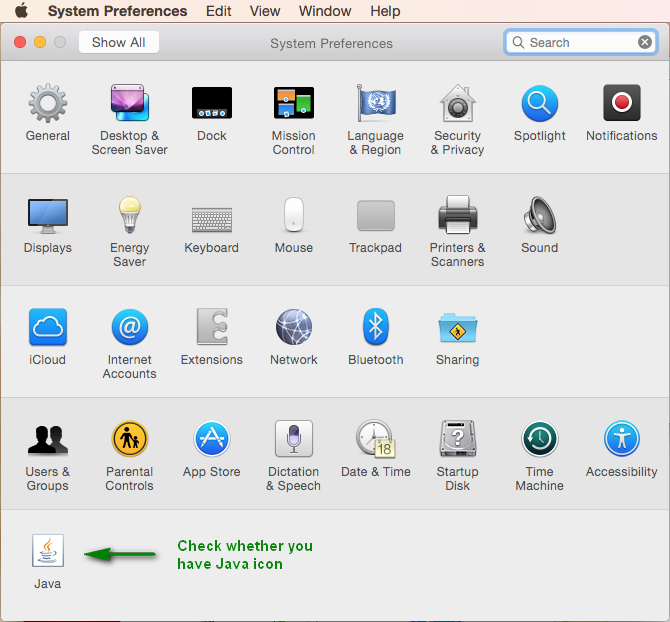 To check it, you can open System Preferences and if you see a Java icon you already have Java installed on your system. Here is a screen shot . If you do not see the Java icon in System Preferences, please install it with the following instruction. Open a browser and go to page www.java.com. Here is the screen. 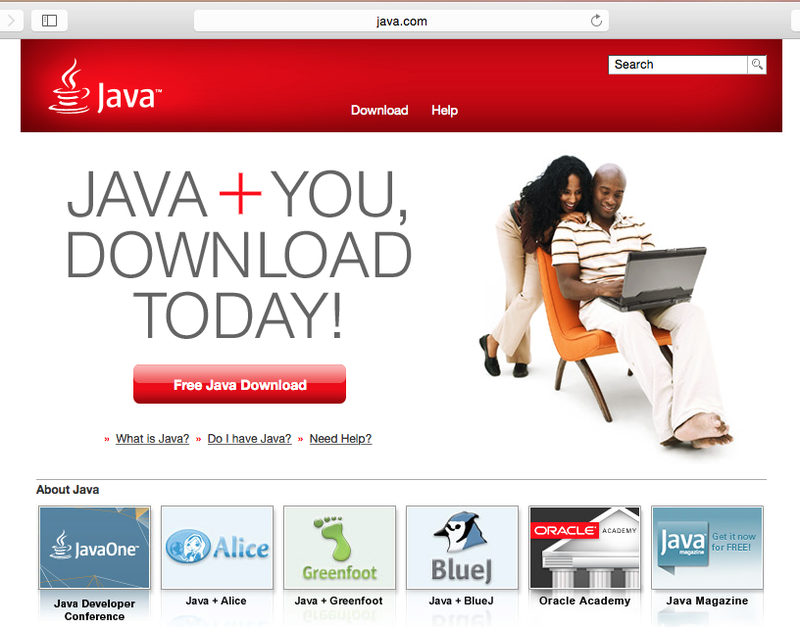 Click the Free Java Download button to proceed. Then you will see this screen. 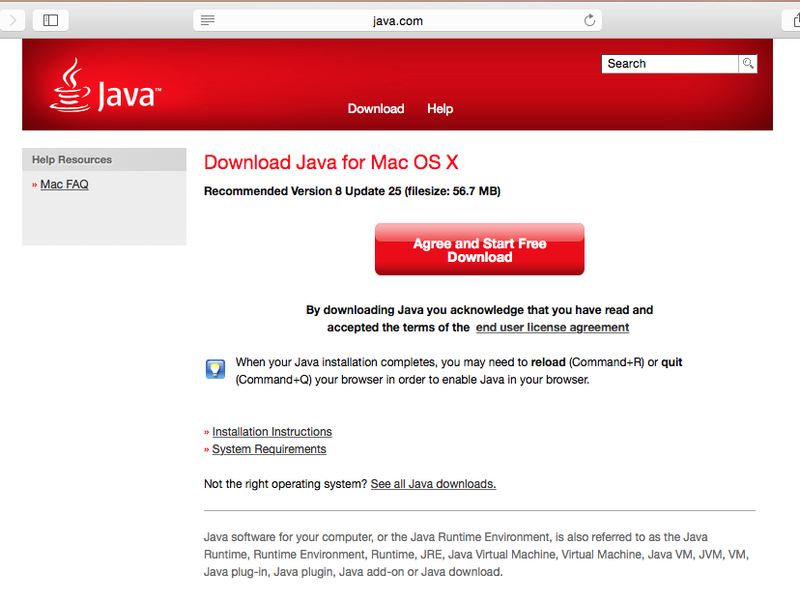 Follow the steps to install Java. Download the Worksnaps Client package. The package is in DMG format. Click on the DMG file to launch it. You should see an installation window like this one . 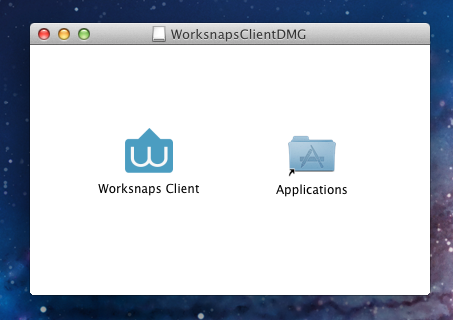 Just drag the Worksnaps Client icon to the Application folder. (Important) Please follow this instruction to configure accessbility. In order for Worksnaps Client to work properly, you need to enable Accessbility on your system. Go to you Applications folder and you should see Worksnaps Client. Just click to launch it.